Afrikana Film Fest scores early premiere of Barry Jenkins’ adaptation, “If Beale Street Could Talk” | Movies | Style Weekly - Richmond, VA local news, arts, and events. 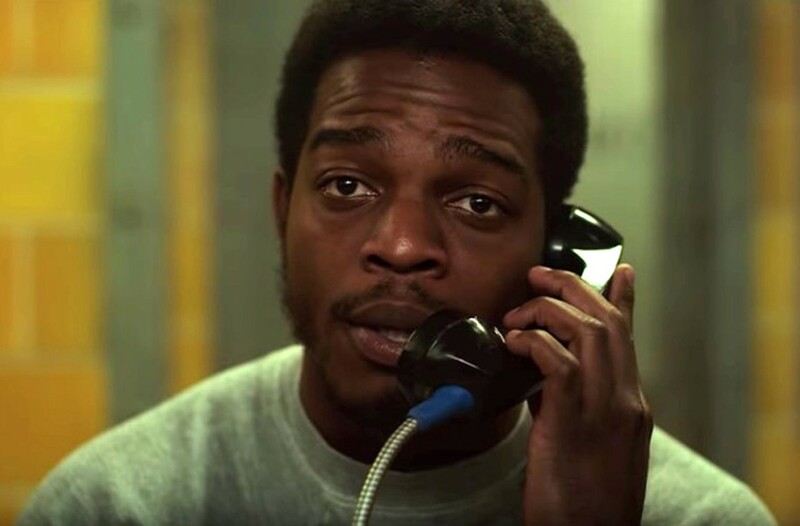 Before "If Beale Street Could Talk" is released Dec. 15, it will premiere in three cities: New York, Los Angeles and Richmond. Written and directed by acclaimed "Moonlight" director Barry Jenkins, the story is based on James Baldwin's novel of the same name and will screen in Richmond on Nov. 30 as part of the Afrikana Independent Film Festival. The film fest, originally scheduled for September, was put on hold when dire warnings of Hurricane Florence blew through Richmond. Organizer Enjoli Moon had to scramble to find new dates, not an easy task given that fall is festival season and she didn't want to compete with existing events. Her other concerns were ensuring that the confirmed filmmakers could still attend on the rescheduled days and that the many venues utilized during the festival were available as well. "While rescheduling has been challenging, it also presented a new set of opportunities," Moon says. "Divine timing is best." Like last year, the festival kicks off on Thursday evening at the Valentine museum with a cocktail reception, followed by the Richmond premiere of the short film "Interference" and a panel discussion with two of the actors and associate producers, Michael Chenevert and Rissa Davis, and executive producer Cecilio Davis. The Grace Street Theater is the setting for Friday's screening of "Sorry to Bother You," an absurdist dark comedy, with first time director Boots Riley, also of the hip-hop group the Coup, in attendance. The aggregator site Rotten Tomatoes' critical consensus reads, "Fearlessly ambitious, scathingly funny, and thoroughly original, 'Sorry to Bother You' loudly heralds the arrival of a fresh filmmaking talent in writer-director [Riley]." Moon's efforts to reschedule Riley's appearance were among her highest priorities after Florence. Once the screening concludes, the official Afrikana Style & Spirits afterparty kicks off at 10:30 at the Hof. Saturday was more challenging to reschedule because the annual Christmas parade on Broad Street meant that many of the venues for the shorts screenings would be inaccessible. As a result, the shorts will start later in the day, at 2 p.m. rather than noon, and run through 8 p.m.
One of the featured shorts is "Stuck," directed by Praheme, a black filmmaker who also happens to be from Richmond. After a stint in Los Angeles where he wrote, directed and produced "Troop 491: the Adventures of the Muddy Lions," Praheme returned to Richmond to work on new film projects and will attend the premiere of "Stuck." Moon is especially excited to premiere the full-length feature "If Beale Street Could Talk," pointing out that it is the first-ever Baldwin adaptation, for which Jenkins had to get permission from Baldwin's estate. "As an up-and-coming film festival, to have the opportunity to share stories from black directors is important," Moon explains. "This is a legendary black author's story told through the lens of an important black filmmaker. To be able to bring that to Richmond through our platform is very exciting." Following the film is Afrikana Mash-up, an afterparty featuring DJ Nobe and DJ Mikemetic, also at the Hof. A big part of Moon's focus with the annual film festival is demonstrating to viewers that they're seeing good stories, not good black stories. But she also wants them to be seen as good films anchored in black people and their experiences. To her it's clear that films such as "Black Panther" and "Moonlight," as well as the rise of black episodic narratives on TV, are proof that a black filmmaking renaissance is happening, aided and abetted by the great equalizer: the internet. "It's an exciting time, different from the black films of the '70s or '90s because now black people are in leadership roles at major studios," Moon explains. "There are finally blacks with their own production companies. We're at the beginning of something big." The Afrikana Independent Film Festival runs Nov. 29 – Dec. 2 at various venues See Afrikanafilmfestival.org for information.